It's 5:30pm on a Tuesday night. Your entire family just got home from all of their busy days. Your kids had sports and music practice, leaving them hungry. You and your spouse just got off work and the last thing you want to do is prepare a gourmet meal. And between homework, chores and play time, there's little time for anything extra. Like, say, meals. You're all hangry and tired and you need food stat. I cannot even tell you how many time my family has been in this exact situation. Since then, we've put together tons of easy Slow cooker and InstantPot recipes that can be thrown together in 5 minutes in the morning, or taken care of in less than 30 (cooking time included!) in the evening. it takes 4 ingredients and less than 5 minutes to put together. Also everyone – from my husband, to my 4 year old and even my in laws – all LOVE this! Put 4 chicken breasts in the bottom of a (linked) slow cooker. It's totally ok for them to be completely, totally frozen. Keep it easy. Dump 2 packets of ranch dressing mix over the chicken breasts. Then place 2 blocks of cream cheese on top of the chicken. Set the slow cooker to low for 8 hours, then hustle out the door to work & school. When it's almost time to serve the Crack Chicken, microwave some bacon, crumble it, an stir it in. Bonus points if you also microwave a broccoli steamer to serve the Slow Cooker Crack Chicken over. 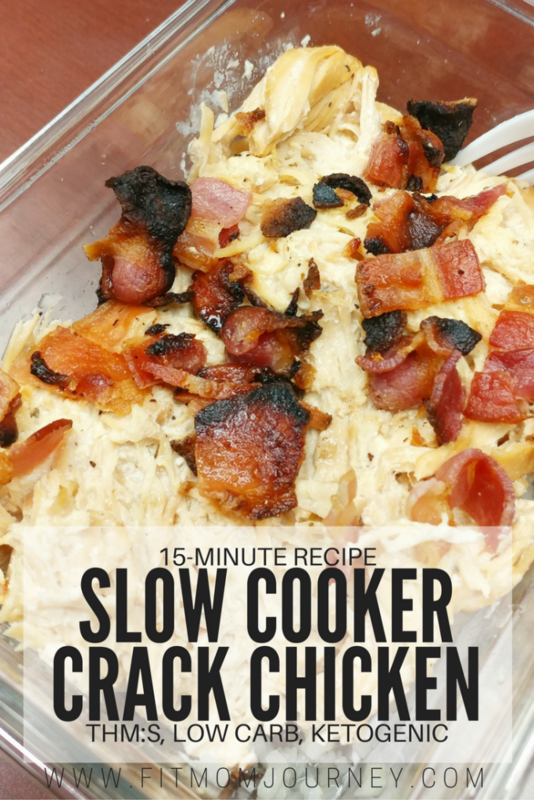 Slow Cooker Crack Chicken is Low Carb, THM:S, and Ketogenic. 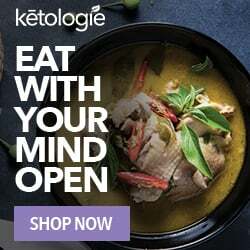 Be sure to visit my Recipe Index for more Low Carb/Keto recipes! Throw this together in the morning, & then drop me a line and let me know how you like it! Can this be made in the instant pot? I just received one early for Christmas so am new to this but I’m always forgetting to even do the crockpot and this recipe sounds wonderful. I’m trying it in my pressure cooker tonight and can let you know how it turns out! Any update on trying it in the Instant Pot? Not sure what instapot younhave but some how I bought a really smart one that has a burn feature on it and in less than 2 mins it burned…. did you add liquid to you pot? Needless to say in the crockpot it went! Guess I’ll have it for breakfast!! Also I calculated 8g carbs…. 4 from cream cheese and 4 from ranch. What am I doing wrong? Is this 4 net carbs total or per serving? It has to be per serving..just the carbs in the ranch and cream cheese alone..!! I’d like to know what a serving is?? Do you think cauliflower rice might be good in it?…Sounds so yummy just thinking of the old time chicken and rice dinner..what ya think? Also wondering this! Was thinking high for 4 hours. Did you try? Which brand of ranch seasoning do you recommend? All the ones I found are very high in carbs (typically 1-3 carbs per 1/2 teaspoon)! Just made this chicken and holy moly, it’s good! We’re always looking for new low carb recipes to add to our meal prep rotation and this was added! Thanks so much! Can i use ranch dressing instead? Yes! Sooo glad you loved it! 4 whole chicken breasts ? 2 blocks of cream cheese and two packets of ranch seem like alot??? How would you adjust the cooking time when halving the ingredients like this? Some people do have bigger families. This is perfect for my family size. Thanks! I don’t know the answer to this question, but I agree. Not only is it super high carb, but all commercially made ranch dressing I find has MSG, or gluten hidden as “other seasoning”. I make my own. I bought bags of onion powder, garlic powder, and buttermilk powder from Amazon, then added spices I already had on hand. People loved it so much I gave it all away as gifts, and the non=celiac people never missed the sugar, gluten or carbs. Just google homemade gluten free ranch dressing mix- there are dozens of recipes out there and they have different spice combos. I add chipotle powder to mine for a a spicy version my kid loves. Hi I agree with you! “Low carb recipe” but do not want to make with chemical laden packaged dressing- it is not healthy! Thanks for the tip on homemade ranch. Never heard of powdered buttermilk. What r people serving with the crack chicken? 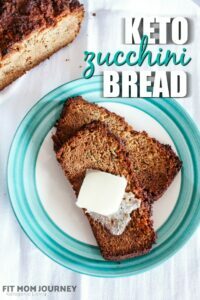 I have tried this recipe before and love it! I was thinking about shredding the chicken after it’s all cooked and serving on large portabella mushrooms. I think it would work and be good! We are doing Shiritaki noodles (keto friendly), with a large side salad. I’m also making keto garlic bread sticks I found on Pinterest. My chicken is already thawed. What happens if I use thawed chicken instead of frozen? I was hoping to see the answer to this. My chicken is thawed, worried i need to add a little liquid. I have seen other recipes that call for broth or water. I may put a half cup of water. The recipe doesn’t require frozen chicken; it just says that you CAN use frozen chicken if you’re in a hurry. How long would you cook fresh chice on low? I love crack chicken! I’ve only made it in my Instant Pot before, but I was looking for a recipe to share with my Aunt who doesn’t have an Instant Pot and I found yours. Thank you! This was great! Made it with mashed potatoes but was a little too rich. Going to try it in a wrap for work lunches! Bet it would be fabulous as a lettuce wrap! Will it be ok if it slow cooks and stay on warm four hours longer? I work 12 hr shift. If I’m going to be longer I sometimes plug the slow cooker into a timer and then it can turn on whenever I want. This looks fantastic! I’ve tried something similar, but I added the bacon whole, and put it in way too early! I’ll have to try it this way. I can’t wait to see if it turns out better than my disaster. 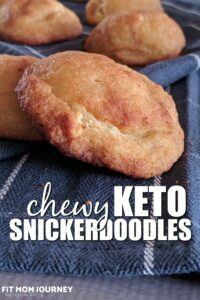 I made this for my husband and me during our first week of Keto. I thought, 3 carbs? This will be a perfect tasty dish! While the dish was delicious, I went back and calculated all the carbs in the cream cheese and the ranch. We went WAY over our daily limit😩 The cream cheese itself was 64 carbs and the ranch packets were close to 60. I just used the full fat store brand cream cheese and hidden valley ranch packets. If there are certain brands with lower carbs, please comment, as I would love to try the dish again. 124grams(ranch, cream cheese)/8 servings=15 grams of carbs per serving. Again, it tasted great and we thought there weren’t too many carbs so we had seconds. Only to find out we had eaten 30 grams of carbs in one meal. Sad day. Again, great dish but definitely not low carb. S, use the Philadelphia cream cheese. The nutrition shows <1 carb per ounce and full size packages are 8oz. I also think it tastes the best. I'm going to try this recipe this weekend! Philadelphia cream cheese is <1 carb per oz and Hidden Valley Ranch is 16 carb per packet. The fitmomjourney listed macros is accurate. 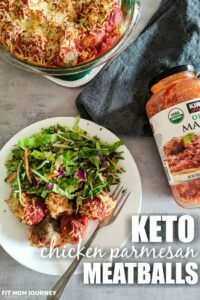 I tried this recipe today with my new instant pot and it was an epic fail. Was I supposed to stir the mixture together midway through or something? Also, the food feels warm not hot, so I stirred everything together and turned the heat up to medium. I’ll let it cook for 2 more hours and see how it turns out. Can I use boneless chicken thighs for this recipe? Tried this recipe lady might but it was totally burnt when I checked it later. I only used 1 pack of cream cheese (only had 3 small chicken breast) and cooked it on low. Not sure what went wrong. Maybe your chicken wasn’t frozen? That adds additional moisture. This tasted so good. However, using the 2 packets of ranch made it sooooooooooo salty! 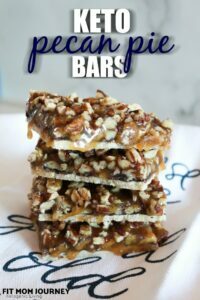 I love salt but it was too much even for me so I think one packet would be just fine, I will definitely make this again! For serving size, if you are using a liner in your crockpot, weighing the final dish is super easy. Then all you have to do is divide by 8. If you are keeping carbohydrates low, no spaghetti noodles. But if you’re eating carbs, then yes! Oh yum. This is so so addictive. I made it both in the slow cooker and instant pot and can’t decide which version I love most. How long did you cook in the instant pot? This was so incredibly yummy! And easy! which was simply amazing. We will definitely be making this again! Thanks so much! I made this and felt like the cream cheese was overwhelming. Wonder if there is something I could add or maybe I didn’t have enough chicken. I made it tonight, so good. I think I’ll kick it up a notch and put it over riced cauliflower then cover it in shredded cheddar and bake it until bubbly next time. In your recipe you’re instructing those who wish to cook this Crack Chicken to “Line their Crock Pot”. My question is what do I line it with? Olive oil spray, Crisco, Parchment, etc,. Yes, I’m new at cooking with a Crock Pot, hence my question. Have you ever use thighs? I am going to use boneless chicken thighs and hoping it will be just as good. This sounds amazing…I’ll let you know! Thanks for sharing!